While 2013 had many instances of breaking news, I think the biggest change for the year was the election of Pope Francis and the reactions to his different style. During the pontificates of Paul VI, Bl. John Paul II and Benedict XVI, we grew accustomed to a Pope behaving in a certain way. There were some new things done (for example, the World Youth Days) or old things done in new ways, but for the most part we had a fixed view on how a Pope was supposed to behave. There was some dissent as individuals on the left or right took offense with their actions, but they had strong support from Catholics who looked to the Church as Mother and Teacher. It was inevitable that Pope Francis would shake things up. He was not a European with a European perspective and a European history. He was not a pre-Vatican II priest (ordained in 1969). He would do things differently simply because he had a different background. 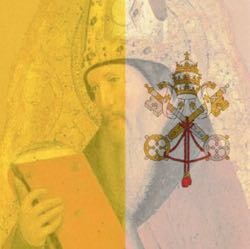 Unfortunately, many Catholics who were accustomed to the perspective of his predecessors mistook those elements as being part of the essence of what the papacy was supposed to be. Both conservative and liberal Catholics believed he was overturning Catholic belief... to the horror of conservatives and delight of liberals. Both were wrong. A reading of his pre-papal works would show that he took the teaching of the Church as a given. His difference was how he approached the mission of the Church. The approaches of Paul VI, John Paul II and Benedict XVI were not wrong. Their approach was to deal with a world that wrongly contrasted freedom and religious beliefs. Their teachings made it clear that true freedom comes from doing what is right. That was right. That was necessary. But it was easy for some Catholics to reduce the Catholic faith to compliance with certain moral norms. That wasn't the fault of Paul VI, John Paul II or Benedict XVI, but it had to be addressed. Pope Francis did address it. He told us that it was not enough to teach compliance with moral norms. We had to put those teachings in the context of Christ's Great Commission. Unfortunately, many (both conservative and liberal) heard "not enough" and equated it with "not necessary." The media has a large portion of the blame here of course. By taking quotes out of context, they portrayed the Pope as a "everyone love each other" hippie. It was bad enough that people ignorant of what he said believed the media. But the real problem was ordinarily faithful Catholics -- especially in the blogosphere -- also believed the media instead of seeing what the Pope really said. The result is a portion of Catholics among those who defended his predecessors, look at Pope Francis as a Pope who has to be endured... with opinions ranging from "he doesn't understand how things work outside of Argentina" to treating him as an incompetent who knows less of Church teaching then they do. The problem is these criticisms focus on the Pope not saying what they want him to say instead of actually considering what he says. The Pope has spoken about the need to evangelize those outside or at odds with the Church. That means the need to show love of God and neighbor. I believe he is right. Sin exists and we must speak out to warn people about the dangers of sin. (see Ezekiel 33). But we must also do so from an attitude of love... we have to give a damn about what happens to Obama or Pelosi. But it also means we need to give thought to how we present Christ's salvation. Do we come across as disciples of Christ? Or do we come across as Republicans? (The two are not the same thing). Personally, I think Pope Francis is the Pope Catholics need... even if he isn't the Pope some Catholics wanted.